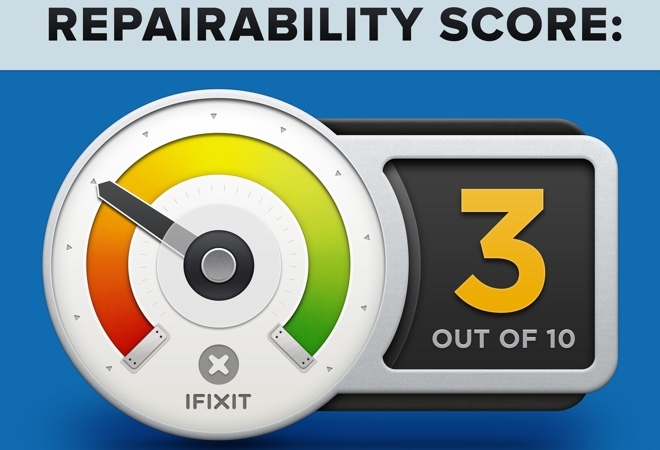 Samsung Galaxy S6 edge received a repairability score of 3 out of 10 from iFixit. That’s slightly better than the 2/10 HTC One M9 received, though it still means that the gorgeous newcomer is a nightmare to repair. Unsurprisingly, Samsung Galaxy S6 edge packs innards developed in-house by the Korean giant. They include Samsung Exynos 7420 SoC, Samsung NAND flash, and Samsung transceiver among others. The gorgeous Super AMOLED display is also made by Samsung, as is the 2, 600mAh battery. Audio junkies on the other hand, will appreciate that the audio amplifier of the smartphone is made by Wolfson Microelectronics. 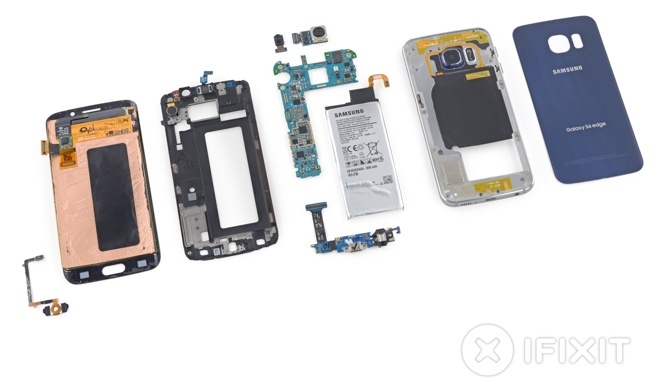 In their traditional repairability score breakdown, iFixit gave Samsung props for featuring modular components in the Galaxy S6 edge. Not having to remove the display to replace the motherboard has also been marked as an improvement. However, glass at the front and the back of the smartphone, strong adhesive on the back, and tightly adhered batter to the back of the screen bring the score down. Furthermore, iFixit found replacing the device’s front glass without destroying its display difficult.